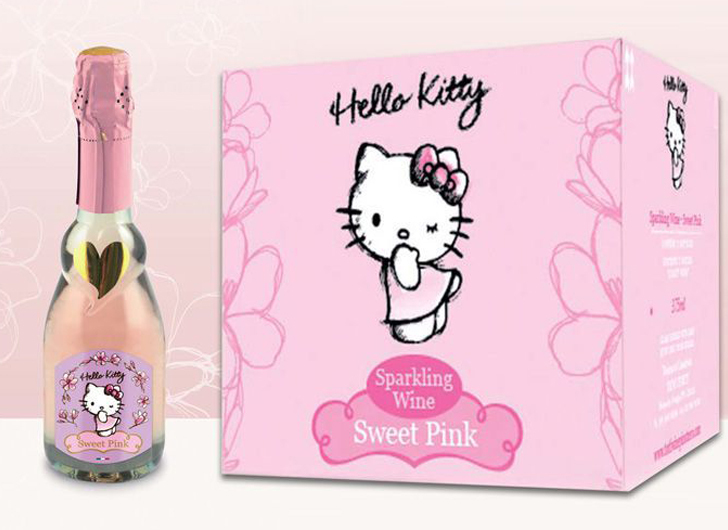 Now U.S. Hello Kitty lovers over the age of 21 can indulge in Sanrio’s new collection of Hello Kitty wine! The wine bottles, soon to be a Hello Kitty collector’s dream, feature the cartoon cat and her infamous bow on the front of each bottle. The collection is made up of five different wines, including a Pinot Noir, a Sparkling Rosé, a Pinot Nero Vinified in White, a sweet pink blend, and a limited edition Sparkling Rosé in a special collector’s bottle. All five wines are produced in the Lombardy region of Italy and are available now just in time for the festive season!